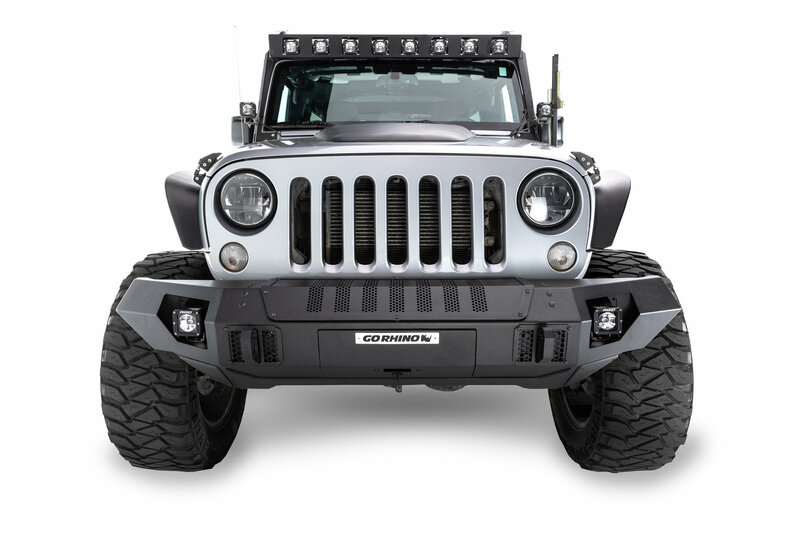 The Go Rhino Tralline Winch Ready Front Straight Bumper for your Wrangler JK & JL provides you with a quality off-road bumper but still maintains compatibility with your OE fenders. Even though it is a mid width bumper you will still have some extra clearance for larger tires and better approach angles while tackling the off-road trails. Design: Mid width bumper that works with OE & after market fenders. Welded 1" thick rhino hooks that hold up to 7/8" d-rings giving you more recovery points incase you or your friends get stuck. A front gear drawer to store off-road gear in for whenever you need it.